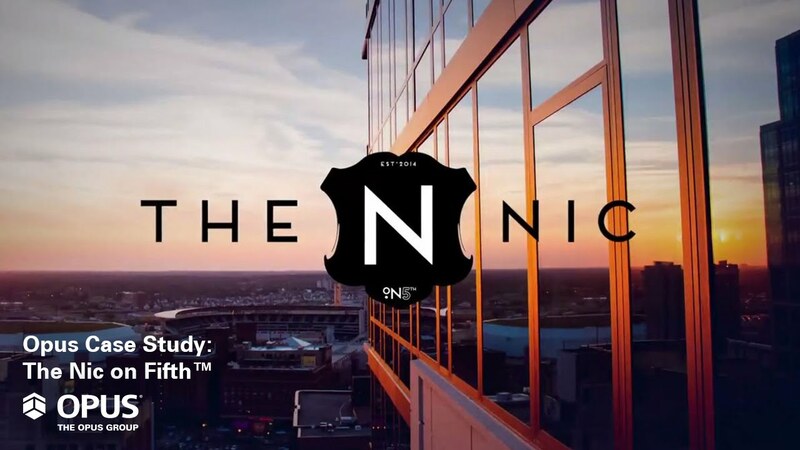 The Nic on Fifth is a great example of what we want to see in downtown Minneapolis. It’s a project that will help us accomplish our goal of doubling the downtown residential population. With the light rail line running in front of the building and a bus stop minutes away, The Nic on Fifth is a conveniently located transit-oriented development. Located on Nicollet Mall, our major commercial street, and at the busiest transit stop in the entire metropolitan area, it’s a great example of how to orient future residential developments to transit facilities. With the oversized lighted frame with stone and large shield logo, the residence lobby uses a play on scale to create a sense of grandeur. The light and airy chandelier suspended in front of the frame provides a modern twist to the space that can be seen throughout the building. 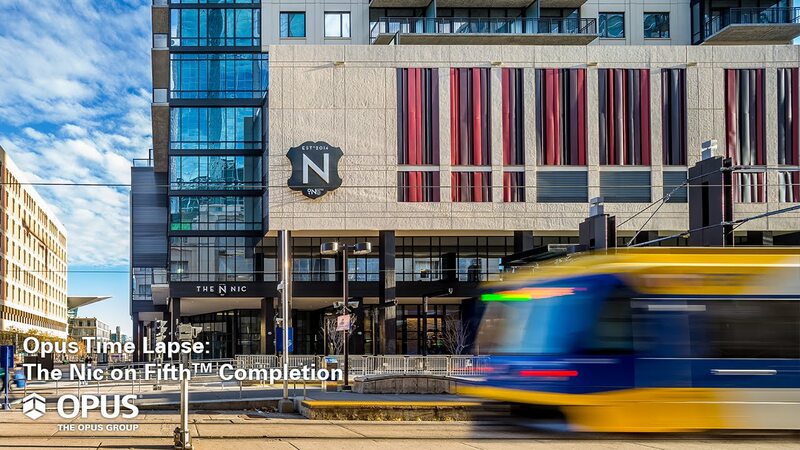 The Nic on Fifth is the latest in a long line of high-quality developments that have contributed greatly to the vitality and success of downtown Minneapolis. Mailrooms, like the one in The Nic, are becoming more hospitality driven with technology connecting residents and notifying them of package deliveries and more. Featuring individually selected, unique artwork, the rental office gives potential residents a small taste of the design of the rest of the building. Every unit level and public space includes great artwork, including a handful of local art featuring views of downtown Minneapolis. The elevator lobby on the amenity level continues the building’s branding with “The Height of Downtown Living” framed wallcovering. Other elevator lobbies use custom super graphics to indicate the level in a sophisticated, unique manner. My partner and I have lived in a number of other cities, including New York and Chicago, and we really liked the luxury apartment living there. Until The Nic on Fifth was finished, that kind of rental living didn't exist here in Minneapolis. I've traveled all over the world and experienced 5-star qualities. The minute you walk in to The Nic on Fifth, it's the same thing. It's like living in a hotel without living out of a suitcase. With the floor to ceiling windows, you don't even need decorations because the view takes care of it for you. Imbuing an upscale, residential feel, the marine blue wall paneling in the club room helps carry the French-inspired design throughout the building. The design purposefully mixes classical sophistication with modern elegance. The residents’ club room, located on the sixth floor, provides a number of entertainment and gathering areas for residents. The indoor amenity space – the club room – flows into the outdoor amenity deck, allowing residents and their guests the freedom to fully use the space. I love the amenity floor. It's luxurious and there are areas designed for different uses depending on your mood. You can relax, hang out, read, entertain, have friends and family over, swim or work out. It's like living in a resort. The outdoor deck, featuring a pool and spa, kitchen and grilling lounge, dog run and Zen walking path, provides a resort-like getaway in the middle of the city. We had looked at other places, but we decided on The Nic on Fifth because it’s right in the heart of downtown, you can walk everywhere or jump on the light rail and it's connected by skyway, which was a big plus. The outdoor kitchen and grilling lounge provides residents with additional entertaining options when the weather’s too nice to stay inside. The Nic on Fifth is such a fabulous building it's contagious. My brother loved it so much, he is also moving in. A pet-friendly building, The Nic offers residents an outdoor space for their pets. The Nic’s branding and interior design continue into the fitness room with the shield on the wall and a luxurious wood ceiling. Even working out at The Nic provides a great view of downtown. 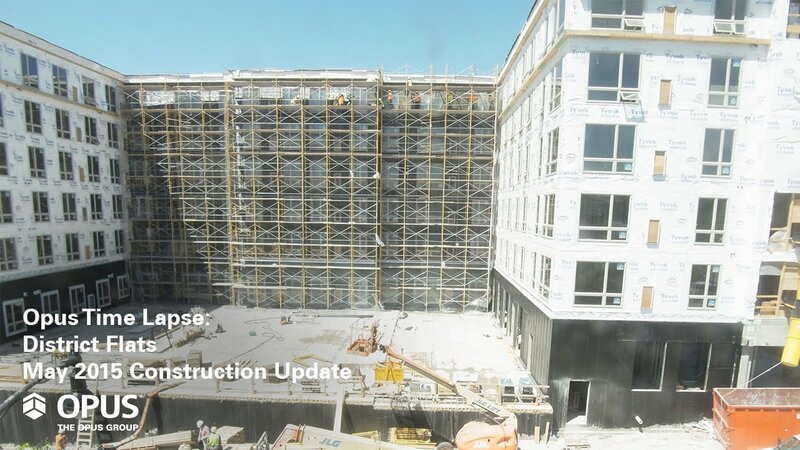 Residents have access to cardio and strength-training equipment and a yoga studio. In keeping with current luxury trends, The Nic features three fully-furnished and accessorized guest suites. These sought-after rental suites are a benefit for residents’ family and friends. As this model shows, units feature luxurious and on-trend finishes. A kitchen with a view, this model unit highlights the great, urban location The Nic offers. With the floor-to-ceiling windows, you don't even need decorations because the view takes care of it for you. Luxurious and spacious with a view: this model bedroom showcases the benefits of The Nic. A unit balcony provides fresh air and another dramatic urban view. From high-rise luxury apartments and condominiums to mixed-usestudent-housing complexes, we have a wealth of experience and expertise in residential development. Whether it is transit-oriented developments in urban centers or amenity-rich buildings with spectacular views, we are committed to creating unique living experiences that appeal to a variety of residents and the surrounding community.